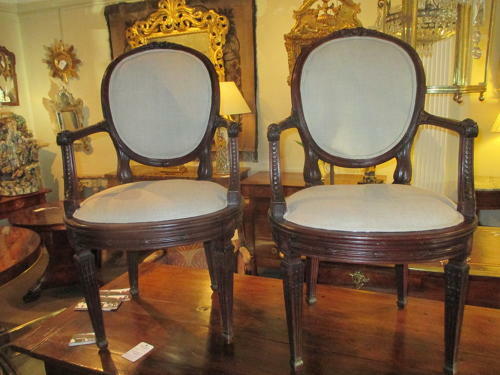 A very nice quality pair of Mahogany armchairs, very crisply carved and recently upholstered in a quality grey Irish linen. Good shape and proportions, with no breaks or wobbles. Dating to the 19th Century.